Greetings! I hope that 2019 is shaping up to be a good year so far for each of you. February marks the kickoff of budget season, as we begin to prepare for Fiscal Year 2019-20 and prioritize the funding of County operations and any major projects. On Wednesday, February 13, the Board of Supervisors will hold its annual Budget Retreat Worksession. 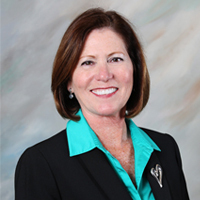 County staff will provide a snapshot of the national and local economy, the County's current financial condition and forecast for the next 5-10 years, and any major financial commitments or impacts that need to be incorporated into next fiscal year's budget. The staff will also provide a status of our Health Benefit Trust fund and outline any plan changes or premium adjustments that may be needed. As always, we will try to keep any changes to a minimum. The Board will then discuss these issues and provide direction on their priorities for the budget. The Budget Review Team then begins budget discussions with all departments and agencies. These meetings take place in February and March. The state's minimum wage law will impact the County next year, since it will increase from $11 per hour to $12 per hour on January 1, 2020. Another issue we are monitoring is the City of Yuma's proposed pay plan changes, in particular for public safety. A couple of years ago we increased our deputy and detention officer pay scale to stem the tide of folks leaving for higher paying jobs with other organizations. We want to retain all of our excellent employees so it's important that we know what other agencies are paying for similar positions and respond accordingly within our financial ability. February brings one more holiday before the long dry spell until Memorial Day. I hope you are able to enjoy President's Day with family and friends or just relax on your own. A special thank you goes to those of you who will be working over the holiday in order for the rest of us to enjoy the day, safe and sound. Thank you for your dedication and hard work, each and every day, to serve the residents and visitors of Yuma County. HOW DOES A GOVERNMENT SHUT DOWN AFFECT THE COUNTY? 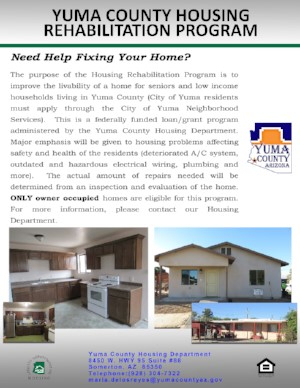 Yuma County receives monies from the Federal Government to promote programs in our Health District and our County Housing Department. If the Federal Government would have continued its shutdown until March our departments would have had some potential impact on their services. Click on the video above to know exactly what programs would have been affected by the Federal government shutdown. Construction in our newest building will resume in the coming months. The relocation of the County Auditorium and County Communications Division will be done by 2020. Click on the video to find out more about the construction steps and when they will take place. The Health District Animal Control Division is more than just a department that gives citations for animals at large. 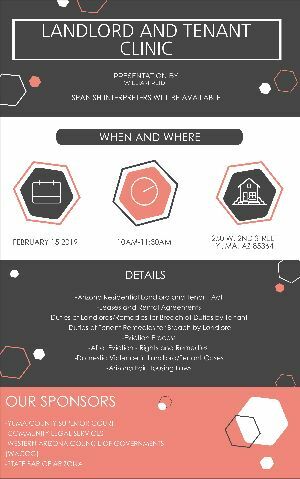 On January 16, 2019, the Yuma County Adult Probation Department (APD) hosted its first blood drive for 2019. Our goal was set by Vitalant, formerly known as United Blood Services, to complete 26 successful blood draws. Thanks to donor generosity, we completed 27, or 104% of our goal! Yes folks, this is not a misprint, we exceeded our goal by one donor! But that’s not all—of these 27 draws, 25 were “whole blood”, which means that most of us donate the traditional single unit blood, but two of our donors qualified to provide “Power Red” meaning that these donors gave two units instead of one. So, while we had 27 draws, we collected 29 units. Since each unit of blood has the capacity to impact up to three lives, donor generosity from our drive has the capacity of saving 87 lives—NOT A BAD DAY’S WORK! On behalf of all of us at APD and Vitalant, as well as from everyone who will benefit from your generosity, A GREAT BIG YUMA COUNTY THANK YOU to everyone who helped make this life-saving event a success! Please rest assured that our expression of gratitude includes those citizens who stepped up to the plate with their sleeves rolled up and ready to give, but for reasons beyond their control were deferred at the time of their screenings. We look forward to your generosity at our next blood drive! 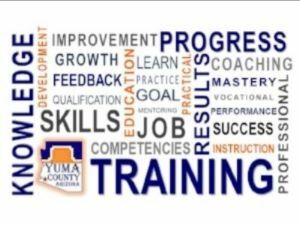 As I have mentioned in past newsletters, APD, United States Federal Probation Yuma, and Goodwill Industries of Central and Northern Arizona have teamed up to reduce unemployment amongst our probation population in Yuma County. On the first Monday of every month, staff from Goodwill Industries comes to APD and facilitates a Job Preparation Workshop for job seekers who are on probation. 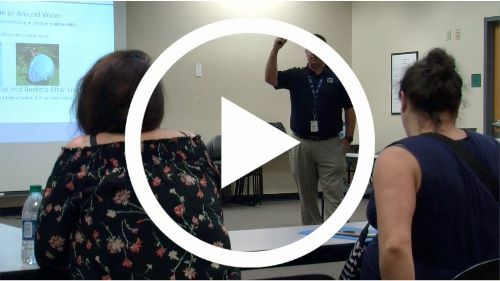 In addition, they return each Monday and conduct one-on-one sessions with these job seekers to help them address the barriers they face during their job search. Most of these individuals do not have interview skills. 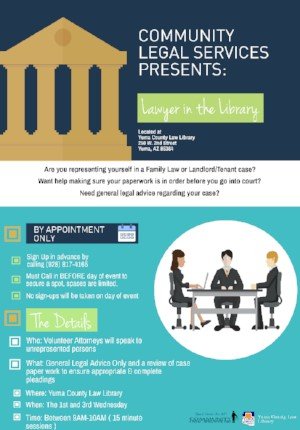 How a person on probation answers job interview questions such as, “Have you ever been convicted of a felony”, can make the difference between being hired or not. This same rule applies to how a probationer, or anyone who is looking for work, dresses for that interview. clothing to “dress for success”. While other organizations may provide this service at either no cost or low cost, by having our Success Closet on site, we may be able to quickly resolve problems or address excuses/barriers such as lack of transportation. The job seekers can choose whatever they need and as much as they need to help meet their goals – no charge! Additionally, more casual clothing is available to probationers in need. For more information about our Success Closet, please contact Probation Officer Ruth Gonzales at 928-373-1719 or Court Services Supervisor Heather Gazda at 928-373-1683. Probation Works! Two Riddles: Which one of Santa’s reindeer can be seen on Valentines day? January Riddle: Simultaneously I go up, I go down. I go up towards the beautiful sky and down toward the green ground. On December 20, 2018, the Office of the Auditor General awarded the Yuma County Financial Services Department an unmodified or clean opinion for the issuance of the County’s Comprehensive Annual Financial Report (CAFR) for the fiscal year ended June 30, 2018. In an effort to inform our general public and other interested parties (without a background in public finance), the Popular Annual Financial Report was also issued. The Financial Services department is pleased to present our sixteenth Popular or “Citizen’s” Annual Financial Report (PAFR). Yuma County’s PAFR was introduced as a means of increasing public confidence in County government and its Elected Officials through easy and user-friendly financial reporting. The report is designed to provide a summary of the County’s financial information in a simple and easy to read format. We encourage readers to also review Yuma County’s Comprehensive Annual Financial Report which is presented in the nature of a full disclosure. Yuma County Financial Services would like to invite you to participate in any of our cost-saving programs available to all departments. There are multiple ways of saving money on the purchase of office supplies and other basic products. We currently have savings programs available with Office Depot Business Solutions and Staples Business Advantage. If you would like to participate in the savings available through these programs/vendors, please reach out to Brenda Mendez at (928) 373-1131; or email Brenda.Mendez@yumacountyaz.gov. Remember to always check the procurement policy and all of your available options before making a purchase. Get price quotes even when they are not needed. (Best practice is to get the lowest price available). Financial Services also has contracts with several local and national vendors that offer great pricing for other products. Feel free to contact us. 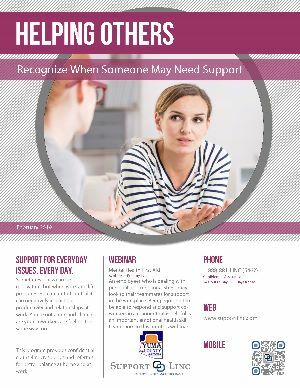 Available on demand beginning February 19, this month’s online seminar, ‘Mental Health First Aid,’ will help employees who might be facing emotional concerns and learn the best practices for offering support. This webinar can be found on the website under ‘Online Seminars’ in the ‘Centers’ section. All new and archived online seminars are stored here for ease of access. Guidance, support, and resources are available 24/7/365 by calling SupportLinc at 1-888-881-LINC (5462). The SupportLinc website (www.supportlinc.com) provides additional resources to help you talk through sensitive issues more easily. It includes articles, eLearning, audio clips, and a Mindfulness Toolkit. Stop by any Yuma County Library January 15 – February 28, 2019, to write a review for our wall display. Writing two reviews qualifies you for a $10 gift card raffle. The nominees for the fourth quarter of the Yuma County Safety Excellence Award were Magdiel Valenzuela, Public Works Equipment Operator; Travis Calvert, Public Works Equipment Tech II; and Richard Rodriguez, Public Works Equipment Operator. On August 8, 2018, Richard Rodriguez observed that a fellow employee was not acting right. He was slurring his words and appeared lost. He had recently participated in a heat exhaustion training. Richard asked another co-worker to assist him with the fellow employee. Richard informed Jason Phipps, Deputy Public Works Director of the emergency. The Deputy then called 911. Magdiel Valenzuela is watchful and always aware of his co-workers and work environment. On August 8, 2018, Magdiel and another co-worker observed that another employee was not acting like himself on that hot day. Magdiel walked the incoherent employee to the Public Works yard and then called 911. The employee was then transported to the hospital and was diagnosed with heat stress. On October 10, 2018, Travis Calvert responded to a call for assistance from two stranded county employees. Their assigned vehicle had broken down on a rural county road. The employees were familiar with the route because they routinely traveled it as part of their work. However, there were no clear markers or signage posted, which made the task more difficult. The employees were rescued after Travis' second attempt. Good thing he brought water with him. He then followed the employees back to Public Works and exchanged their car for a new one. Join family, friends and the community to kick off the Yuma Jaycees Rodeo Parade. *In person: at the Parks & Recreation Department inside City Hall. On May 21, 1934, the Yuma County Board of Supervisors adopted a resolution stating that the “Sunset Route” was the shortest route across Arizona, the most level, had no mountain grades worthy of the name, was “high gear” all the way, bordered by many scenic wonders, and of great commercial and tourist interest and importance. 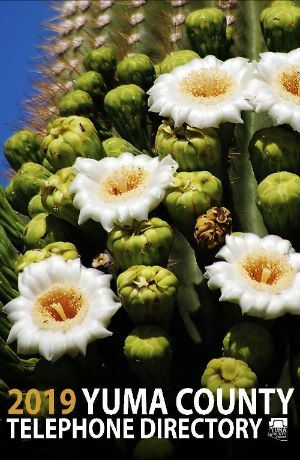 Furthermore, the route passed through the cities of Yuma, Wellton, Gila Bend, Casa Grande, Tucson, Benson, Wilcox, Bowie, and San Simon and accommodated said cities and rich countrysides surrounding them. A portion of the said route east of Benson was a county highway and rightfully should be a state highway. The Board of Supervisors was requesting that the “Sunset Route," or portions of it that was not then included, be included in the Arizona State Highway System, especially portions lying east of the City of Benson. The Board of Supervisors appointed Peter T. Robertson as Special Consulting Highway Advisor, without pay, to assist the state in this matter. Board members were: M. N. Forman (Chairman), Frank Lucas and Samuel deCorse. Copyright © 2017 Yuma County, Arizona, All rights reserved.